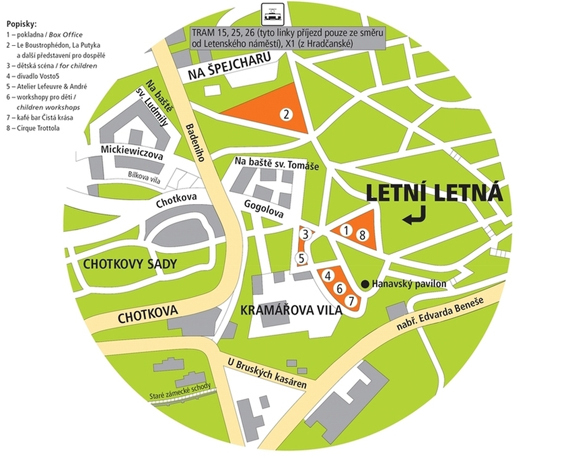 Running until 2 September is Prague’s contemporary circus & theatre festival - Letní Letná for adults and kids. 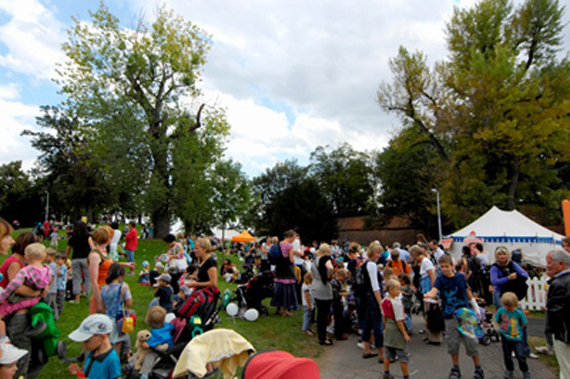 There are children’s shows throughout the day and the adult shows in the evening feature some of the best performers in Czech Republic, Denmark, Sweden and France. Daytime circus workshops, free open-air performances, a kid’s play area, art workshops, food stalls and bars complete the festive atmosphere. Performances for kids are staged daily at 11am, 2pm, 3.30pm and 5pm and feature marionette puppet shows and stage plays usually linked to fairy tales. Performances are mainly in Czech but some are non-verbal. You can find out more information about the shows here, with many of the show’s described in English if you follow this link. Last year we took in a puppet show about Little Red Riding Hood which was a mix of acting and puppetry but required some comprehension of Czech. In contrast we saw Duhové Bubliny - a performance using soap bubbles in various sizes and with no spoken words. It was pretty cool and he did even encase a child in a large bubble too. 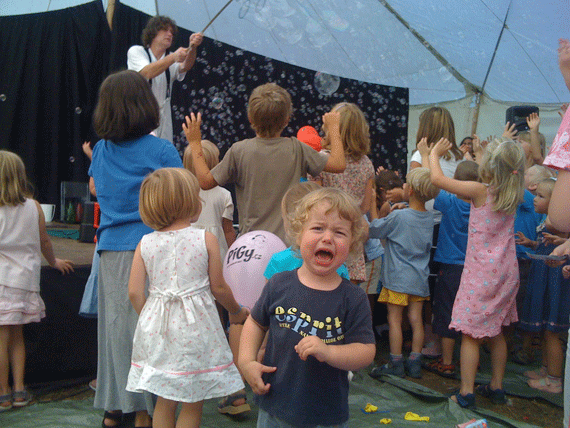 This show is recommended or all age categories, Ari was 2 and despite the photo below, he loved it! The only thing is the artist smokes on stage for part of the performance - this is for his bubbles - he injects his bubbles with cloudy smoke. It’s still kind of disconcerting hearing all the ‘wows’ from the kids when he is inhaling and exhaling something that we try to discourage these days. 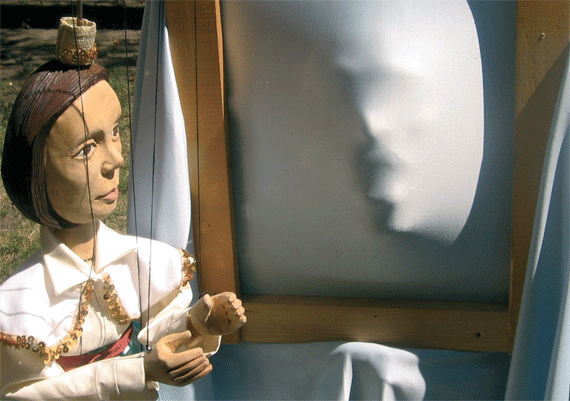 I can also recommend Teatrotoč‘s - Sněhurka (Snow White) marionette show. 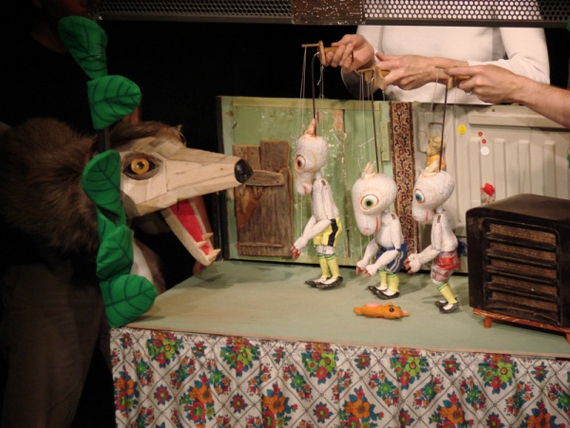 This 30 minute show for children tells an original story using hand-carved wooden marionettes speaking various languages (including English) and will also be accompanied by live music. The show was developed by international puppetry students who have attended a course here in Prague and will be open-air free of charge. Tickets to all children’s performances are 70CZK or you can purchase four tickets for 240CZK. You can buy your tickets for all shows usually a few hours or even a few minutes before a performance at the on-site box office. There are lots of kids workshops on offer - painting, mask making, face paiting and games (note: some workshops may be messy so dress the kids in appropriate clothes). Workshops are Free! Kids can also collect tokens for their art activity (once completed) and then use these tokens to pick up a present such as a t-shirt or coloring-in book. The not-to-be missed performances for adults this year are La Vie by 7 Fingers (Canada) at 610czk per ticket, Kabaret by LaCrimae (Czech, Sweden & Canada) and Risque ZérO by Cirque Galapiat (France) for 575czk per ticket. It’s probably best to reserve and purchase your ticket on-line to ensure your place. 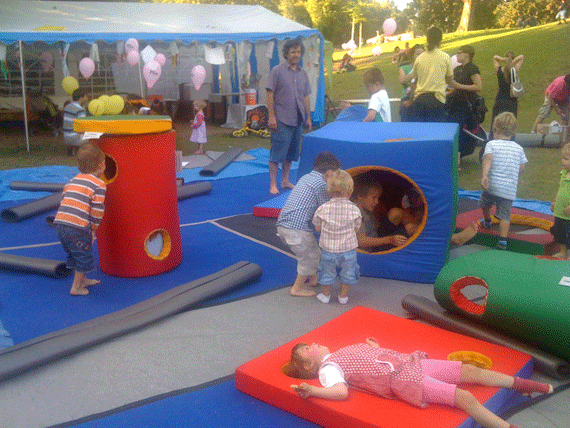 The Letna venue is nestled between hills, bring a picnic rug to relax on in between performances or whilst the kids are busy in the soft playground or craft areas. 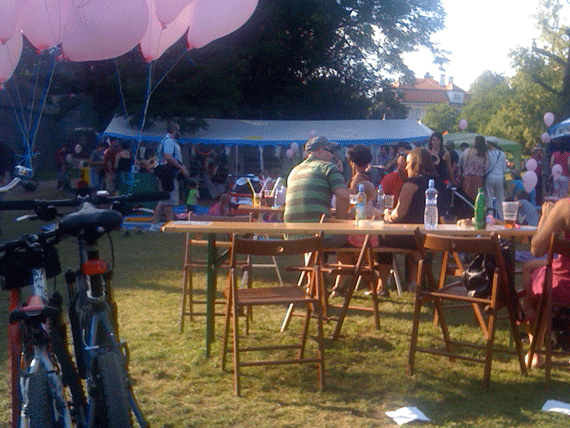 There are plenty of refreshment and food stalls on-site which offer all kinds of different foods and drink - such as bbq’d meats and the requisite beer. If you want to start early with a nice breakfast or go later in the day for dinner and lunch, don’t forget the cute Cafe Pointa nearby with it’s unique kitchen corner play area.